Whether you are looking to finance your solar energy system partially or completely, there are options for you. New "green" asset lenders are forming with funding for commercial solar energy systems. We can work together to come up with the best solar energy financing vehicle for your needs. 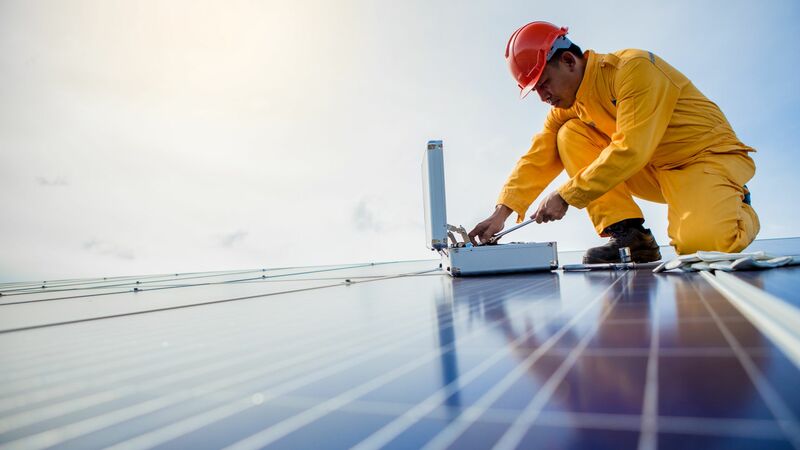 With the current State and Federal rebates being offered for solar energy products and green technologies, financing the net cost can make tremendous economic sense. There are several ways to integrate a solar energy system on your commercial property with little to no upfront costs. Solar leasing, Power Purchase Agreements (PPA’s), and Energy Service Agreements (ESA's) are available which take the upfront cost burden out of the transaction, but structured so that you save money on a monthly basis. We are currently structuring deals for investors and property owners that generate between a 5% and 30% return on investment if there is any dollar outlay. If there is no money out of pocket and you can save up to 30% on your electric expense every month, that is an infinite ROI. With solar hot water, savings have topped 40% with no money out of pocket and savings day 1. We work with everyone from individual owner/operators to Fortune 500 companies. To provide the most cash flow possible, long term leasing solar energy systems makes great financial sense. Lease terms for solar can range from 5-15 years and allow the property owner to realize all available incentives from commercial solar energy systems. With a new 15 year lease term, typical property owners realize an immediate savings of 10%-20% of their current electric bill, with a level lease payment. These solar energy leases are credit driven, can be prepaid without penalty, and may require small down payments. At the end of the lease term, there is flexibility. Clients can choose to extend the lease another 5 or more years, pay a fair market value (FMV) to buyout the system, or de-install the solar system. 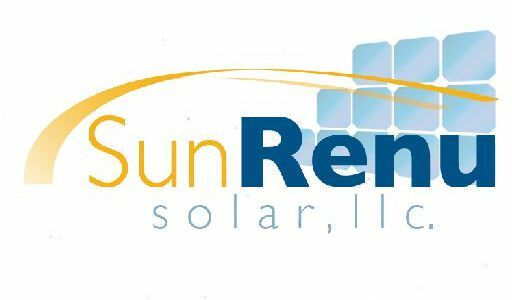 SunRenu Solar can also structure the lease to fit your goals of asset disposition. This process will allow the owner to buyout the system upon disposition and sell the property for a higher value (with higher NOI) which can allow increased equity/profit upon sale. PPA's are a financing method where a third party owns and operates a solar energy facility and leases energy to the property owner. These agreements are simple to the customer and require no money outlay. Agreements run from 20-30 years and typically save the owner up to 20% of their current electric bill. These agreements hedge against future power increases and can lock in your electric rate. The PPA allows large property owners to buy "green" energy without paying the skyrocketing costs of Utility "green" energy. At the end of the PPA term, the property owner could purchase the system at a depreciated cost (FMV) or allow the system owner to remove the equipment. An Energy Service Agreement is similar to a PPA. This is an agreement that can satisfy Governmental and Non-Profit entities. It is just how it sounds, "a service agreement" in which there are no liens placed on the property. Upon credit approval, the owner of the ESA will leverage the tax benefits and incentives to provide a lower cost of energy than your current electricity or domestic hot water expense. These agreements could coordinate a "pre-payment" for electricity to lower or eliminate a payment all together. Some commercial mortgage lenders are accepting the principles of solar financing. HUD now offers 30 and 40 year commercial mortgages that incorporate the cost of solar energy systems. There are other sources of funding including private capital and third party funding that are also available. Please send us a message if you are interested in what return on investment a solar energy system can provide your commercial property and we will generate a preliminary financing quote. Renewable energy is the smart investment looking forward and can provide thousands and even million dollars in future savings.